So with how low Venezuela has gone, it's no surprise that so many people decide to leave the country. I'm actually leaving to Chile sometime soon with my dad, possibly during Early 2019, but there are some things that have been worrying me. See: Venezuelans have been leaving in millions to lots of countries (I mean that's probably obvious but you get what I'm trying to say), and the amount of hate towards them seems to be growing, places like Panama have a bunch of hate for them. And you know what? I'd say the hate for Venezuelans is justified... partially. See: Since Venezuela doesn't (or barely) enforce laws, a lot of people take advantage of it and some people don't even care about hiding their identity when doing crimes, these people also leave the country, countries that literally welcome them, and they end up biting the hand that feeds them. A growing amount of Venezuelans in other countries continue doing harm (Murdering, stealing, robbing, littering...), and they do end up getting imprisoned, it seems like they think they're going to get away with crimes in the outside. And that's a shame because it seems people generalize us because of those bad apples, there are people who don't generalize us of course, but it's happening with a bunch of people, in some countries more than others it seems. 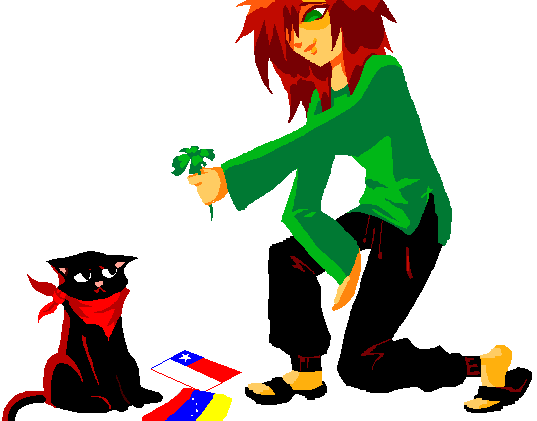 I'm not really sure how my life will go in Chile because apparently our society is bad enough to judge people out of their nationality, I've heard mixed stuff, hell, some people even give free shelter to Venezuelans until they're able to take care of themselves. But even if it goes well, I'm worried. We're seeing more and more immigrants from Venezuela every day; the mass exodus is a well-known phenomenon here. They usually have an easy time here, but I have no idea about Chile. The crisis in general is getting worse in Peru as well. There have been a few instances of Venezuelans committing crimes and all here, and it honestly makes me a bit sick knowing that this sort of thing is happening not that far away from here. In any case, wherever you may go from here, I hope everything looks up for you. (2018-08-26 05:15:06)Pacha Kamaq Wrote: The crisis in general is getting worse in Peru as well. There have been a few instances of Venezuelans committing crimes and all here, and it honestly makes me a bit sick knowing that this sort of thing is happening not that far away from here. Yeah I've heard from the stuff that happens in Peru, it's so sad and bothering, but oh well... thanks. Current time: 2019-04-21, 10:46:53 Powered By MyBB 1.8.5, © 2002-2019 MyBB Group.